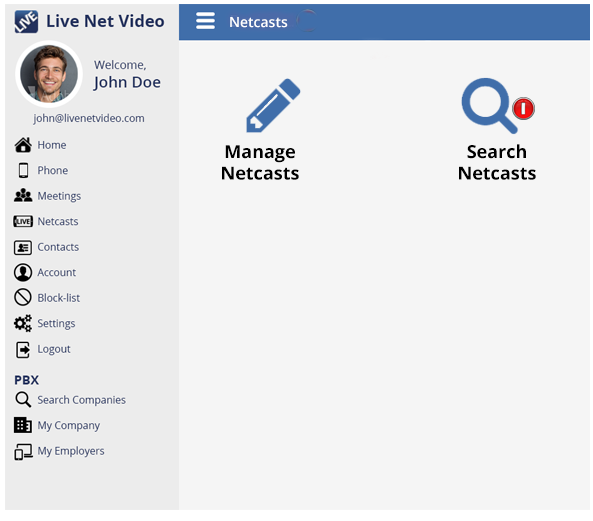 From the Netcast Dashboard, click on the Search Netcasts Button. 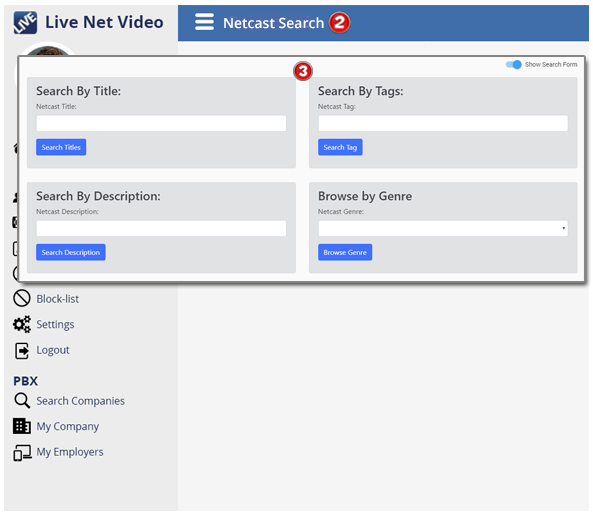 The Netcast Search Form opens. You can search for a netcast by Title, Tags, Description or Genre.